I'm guilty of wearing summer clothes at the first signs of sunshine. Short sleeves, floral patterns and bright colours all look good but an added glow underneath those clothes can help you feel good too. Through the winter I embraced my pale skin just adding the odd bit of fake tan on my legs for a night out without tights. 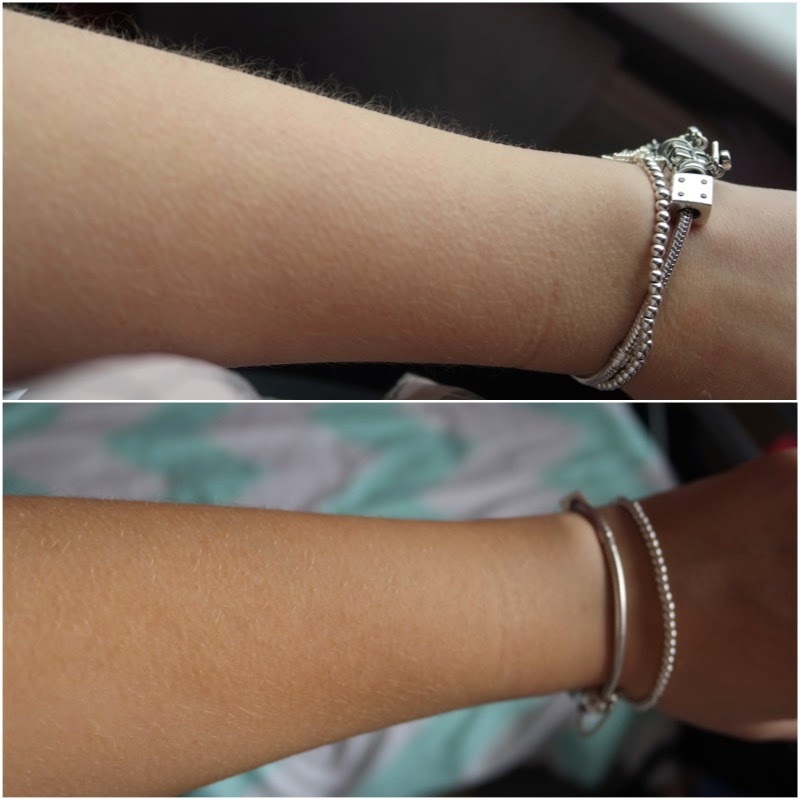 At the start of Spring I wanted a fuss free tan that would give me a natural looking glow and The Ultimate from Tantruth was perfect for the occasion. Achieving the ultimate self-tan just got easy! The luxurious lotion with colour guide glides effortlessly onto the skin to give a natural, glowing self-tan. Enriched with Shea Butter and Avocado to leave the skin moisturised, nourished and perfectly tanned. The colour guide meant I was able to see exactly where I'd tanned and the big white patches that I'd missed. A good thing for tanning amateurs and pros alike. My skin didn't feel dry at all, unlike with some mousse tanning products. I didn't feel particularly moisturised but when there's no dodgy dry patches that's always a good thing. It didn't smell too bad at first but by the time I woke up in the morning I had the typical biscuit scent. It's not marketed as a beautiful smelling tan so you can't complain too much. I applied the tan at night, left it over night and washed it off in the morning. I was really happy with the natural glow, I didn't look orange or over tanned. The tan lasted a few days and definitely achieved an even fade off. The only part that seemed to hang around when the rest of the tan was gone was a bit on my stomach - no big deal. Have you tried any products by Tantruth? Are you an all year round tan-a-holic or just wait for special occasions?